SOUL FOOD for Young Adult Communities: June 23, 2013: 12th Sunday in Ordinary Time. Ever been asked a direct question, that puts you on the spot? A question about where you stand? A question that make you think and make you decide, makes you come down on one side or the other? One that leaves you no wriggle room, no room for humming or hawing? Sometimes when a person asks you that kind of question, it may come from that person’s need for a definite answer. It was as if Jesus was really wondering where all this work of his was going. ‘Do they know who I am? Do they know what I am about? 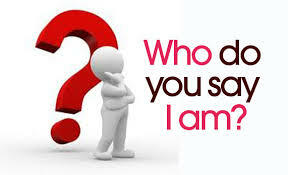 Do you know who I am and what I am about?’ If his closest followers didn’t know, then was he getting anywhere? Good ol’ Simon Peter spoke up first,- as usual! He blurted out ‘You are the Christ of God’. 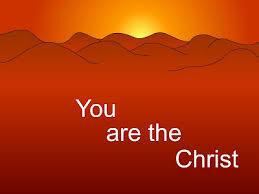 In other words, you are the One Sent, the Chosen One, the Anointed One (‘Christ’ comes from ‘chrism’ meaning oil). You have been sent by God! And Jesus was relieved! They were beginning to grasp that this Jesus of Nazareth, with whom they travelled the roads of Galilee, this human being was the One who was SENT. He was from God. 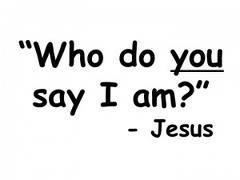 Who do you say that I am? Peter had his answer. Thomas had his. Millions have had theirs. 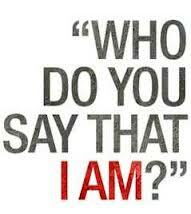 And now us,- ‘Who do you say that I am?’ The moment is now, the question is today, for us. On Youtube, click on this to watch a ten minute presentation to a Young Alpha Course group, on ‘Who is Jesus?’ It might whet your appetite. It will address some of your questions. ‘What do my mates say?’ No! ‘What do I say?’- that’s the question. I can’t answer it for you. Only you can look into the face of Jesus of Nazareth, for yourself. ‘Here’s lookin’ at you’, he says. And that’s why the Gospel concludes (in its original conclusion) with the declaration of Thomas ‘My LORD and my GOD’. ← SOUL FOOD for Hungry Adult Communities: June 23rd 2013: Twelfth Sunday in Ordinary Time.